Want to add some excitement to your classroom? Try an escape room activity! The library has two physical BreakoutEDU kits available. 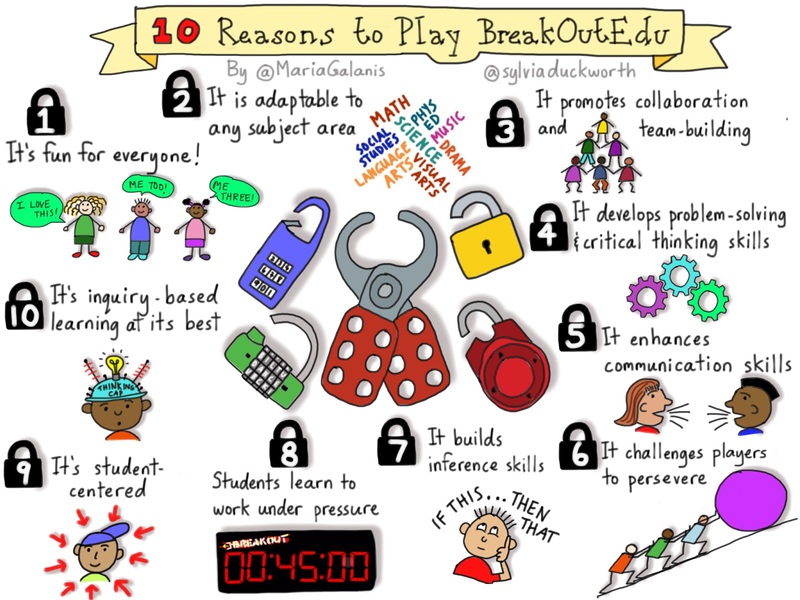 Teachers may either borrow a kit to use in the classroom, or coordinate a time to do a breakout activity in the library. Digital breakouts (using devices to solve online puzzles and locks) are also available for many subject areas and grade levels. Stop by or send an email for more details. So You Want to Build a Classroom Escape Room Lesson?